At From Karen, with Love; we live for new and exciting content that our readers and clients can feast on, and we also feel that collaborating is key to creativity! Collaborating with us if you are a business can help build your own website traffic, and allow you to make worthwhile connections with people in the Wedding Industry. We are always looking to style photo shoots and to plan corporate or networking events. Additionally, we are interested in guest bloggers who have great personalities and a polished brand identity. We love Real Wedding submissions, especially ones with unique and personal details. 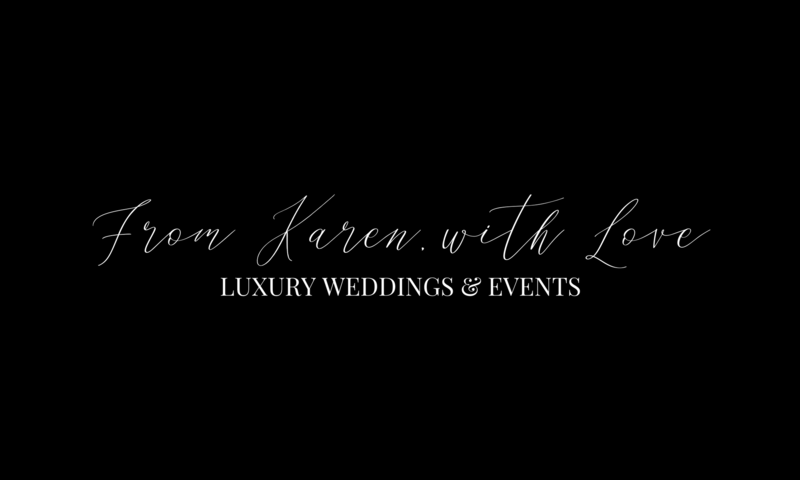 If you are submitting your wedding for a ‘Real Wedding’ feature, please attach five of your wedding photos to an email addressed to fromkarenwithlove@outlook.com. Equally, if you are currently wedding planning and would like to share your experiences (ups and downs) with other couples, please email us with a little bit about yourself and your wedding plans.